Cellulitis is a skin infection that's treated with antibiotics. It can be serious if it's not treated quickly. Other conditions can make your skin red, flaky and blistered. It's unlikely to be cellulitis unless part of your skin is hot, red and swollen. Early treatment with antibiotics can stop the infection becoming more serious. For mild cellulitis affecting a small area of skin, your GP will prescribe antibiotic tablets – usually for a week. Your symptoms might get worse in the first 48 hours of treatment, but should then start to improve. Most people make a full recovery after 7 to 10 days. If your cellulitis is severe, your GP might refer you to hospital for treatment. 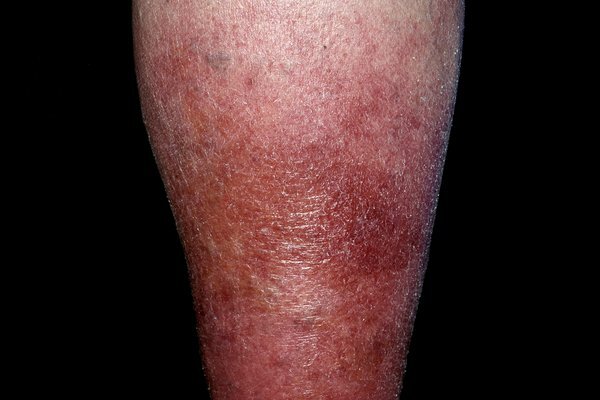 Some people with recurring cellulitis might be prescribed low-dose long-term antibiotics to stop infections coming back. If not treated quickly, the infection can spread to other parts of the body, such as the blood, muscles and bones. These are symptoms of sepsis, which can be very serious and potentially life threatening. 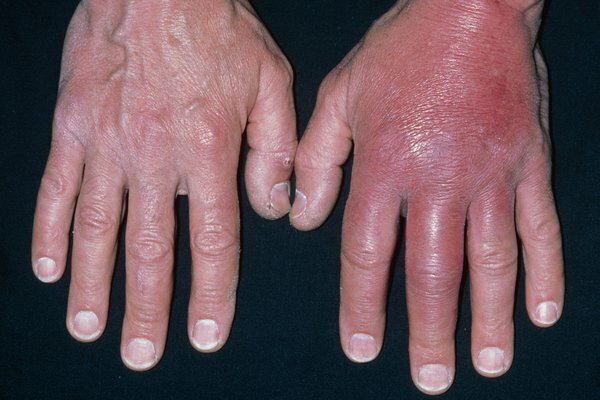 Cellulitis is usually caused by a bacterial infection. The bacteria can infect the deeper layers of your skin if it's broken – for example, because of an insect bite or cut, or if it's cracked and dry. You cannot catch cellulitis from another person as it affects the deeper layers of the skin. People who are more at risk of cellulitis should treat any athlete's foot promptly.